This is a note about a journey in search of God by a man who believes that natural sciences derived from God’s laws and rules for this Universe are paths leading to God. 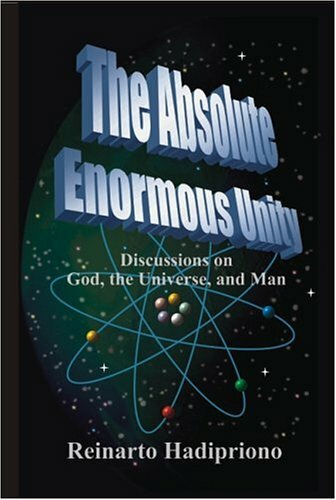 This book can also be considered an effort to find any means by which God might reveal Himself as He is.It might also be seen as a crossword puzzle about God, the Universe, and Man, which has been partially filled in with several possibilities. Those who do not agree with this book, do answer the questions in it to help improve the answers to the puzzle. 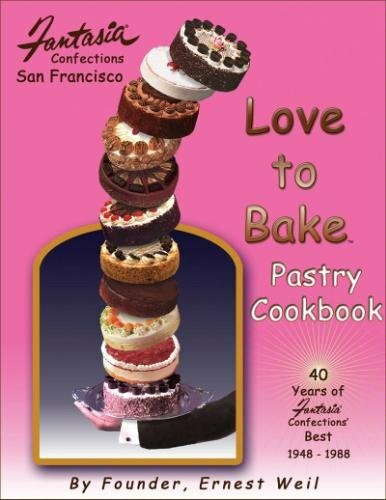 Imagine being able to bake the world renowned delicacies you see pictured on the front of this pastry cookbook. The secret is out! Finally, Ernest Weil, founder of Fantasia Confections, has written a cookbook in which he shares the secrets of more than 150 of the bakery’s most popular recipes including the Coffee Crunch Cake and Florentine Cookies. For over forty years, San Franciscans were pampered with their mouth watering cakes, pastries, and cookies. Now, you too, the beginner baker as well as the advanced, can pamper and impress your friends and relatives by bringing these recipes to life. “This cookbook is full of the creations I baked everyday at Fantasia for 12 years, a great education for my future success. As someone who loves fine chocolates and desserts, I am sure this pastry book will delight former Fantasia customers and new connoisseurs. Those who love to bake are lucky that Ernest has published these magnificent recipes. He is one of my mentors, such a talented konditor, and above all a wonderful human being.” Joseph Schmidt (of Joseph Schmidt Confections), San Francisco, 2005. Fantasia’s pastries were featured in the San Francisco Chronicle, San Mateo Times and San Jose Mercury News, just to name a few. Nationally recognized in Time / Life and Baking Industry Magazines. Their confections were served to foreign dignitaries in China, enjoyed by famous people such as Pope John Paul II and Robin Williams, along with so many others in between. 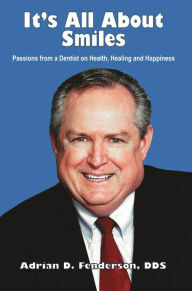 This book gives compelling reasons and stories on why a beautiful smile can change a person’s life. It is also designed to help anyone who goes to the dentist become more knowledgeable, confident and comfortable in their dental experiences and in their other health choices. In addition, it is a very helpful book for patients in search of a new dentist and provides a model and ideas for dentists who would like to give their patients a superior dental office experience. Read about inspirational stories and adventures which have ledhim to experience a different existence as a dentist. You will read stories from the humanitarian projects he has been a part of for over 40 years. Dr. Fenderson is the recipient of the San Francisco Bay area Jefferson Award and Crown Council’s Humanitarian of the Year. Captain Picard, Beverly Crusher, and the Battle Bridge crew of the Enterprise are trapped in the mysterious Zone of Darkness, where an alien power forces them to act out their fantasies in a terrifying drama of love, power, desire and death. An ST:NG novella. The Hive: one of the very first ST:NG fanzines, published in November 1987, and presented to Jonathan Frakes at his first convention appearance, here in California. An almost identical episode appeared in the Spring. It had of course already been filmed when The Hive was published, so these two versions were conceived independently of each other: welcome to the Twilight Zone! In this novella, Riker, Data, and Worf are trapped on a dangerous planet ruled by beautiful women. On the Enterprise, Captain Jean-Luc Picard faces a mysterious, deadly illness that strikes down every woman on board, including Dr. Beverly Crusher. Data’s romantic dreams of Tasha Yar lead him into Q’s realm of powers. In the dark side of a fairy tale world, Data becomes the player and Tasha the prize in Q’s fantasy games, while Q discovers that he may have fallen into his own trap of passion and desire for a mortal woman.